The California State Historical Resources Commission (Commission) will consider eleven nominations for federal historic designation on Friday, October 26. 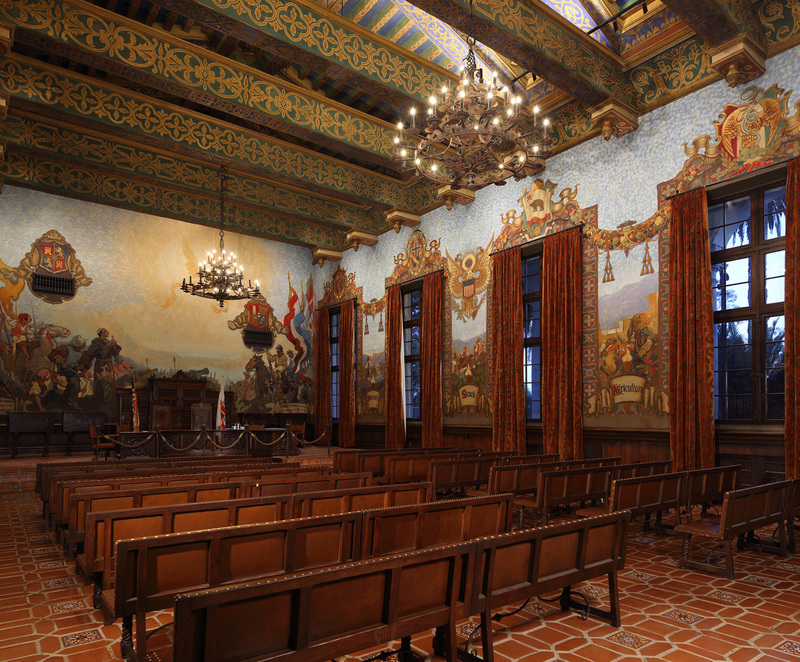 The Commission meeting will be held at 9 a.m. in Room 1010 on the 10th Floor of Los Angeles City Hall, located at 200 North Spring Street, Los Angeles. The California Office of Historic Preservation (OHP) is pleased to announce the six recipients of the 2018 Governor’s Historic Preservation Awards. Each of the projects represents exemplary achievements on behalf of preserving California’s richly diverse heritage. The California State Historical Resources Commission (Commission) will consider seven nominations for federal historic designation on Friday, August 3. The Commission meeting will be held at 9 a.m. in the Auditorium at the State Resources Building, located at 1416 Ninth Street, Sacramento. SACRAMENTO, Calif.—The California State Historical Resources Commission (Commission) will consider fourteen nominations for federal historic designation and one relocation of a federally listed property on Thursday, May 17. The Commission meeting will be held at 1 p.m. in the Lucie Stern Community Center Ballroom, located at 1305 Middlefield Road, Palo Alto. California State Parks today announced that the California Office of Historic Preservation (OHP) is currently accepting nominations for the 2018 Governor’s Historic Preservation Awards. The deadline for the receipt of nominations is April 16, 2018. SACRAMENTO, Calif.—The California State Historical Resources Commission (Commission) will consider nine nominations for federal historic designation and one nomination for state designation on Friday, February 2. The Commission meeting will be held at 9 a.m. in the Auditorium at the State Resources Building, located at 1416 Ninth Street, Sacramento. California’s Office of Historic Preservation (OHP) announced today the selection of four cities to receive $160,000 in federal grants to assist local historic preservation programs. The cities of Benicia, Los Angeles, Riverside, and the city and county of San Francisco will receive funding from the 2017-2018 Certified Local Government Grant Program (CLG). The California Office of Historic Preservation is honored to be the recipient of an Underrepresented Community Grant from the National Park Service.